Every so often we plan to bring you a brief roundup of some of the best interactive mapping websites and resources related to geospatial education. We have some amazing sites this week, all interactive maps, that have either recently been released or recently had a makeover. Like we did, enjoy taking the time to go through them. 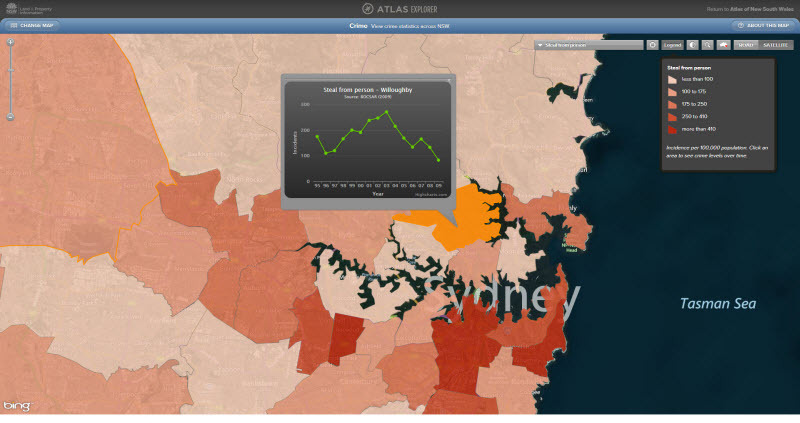 Examine a whole range of Australia’s data using this new tool called the National Atlas. Developed by a range of federal government agencies, the National Map puts a fantastic amount of government data into a very useable online tool. View contours, population data, vegetation and even the changing gravitational field across the country! The NSW Atlas is similar in concept to the National Map, above. The data is focussed on NSW and detailed population data can be found, including even crime data, as well as plenty of natural data sets. 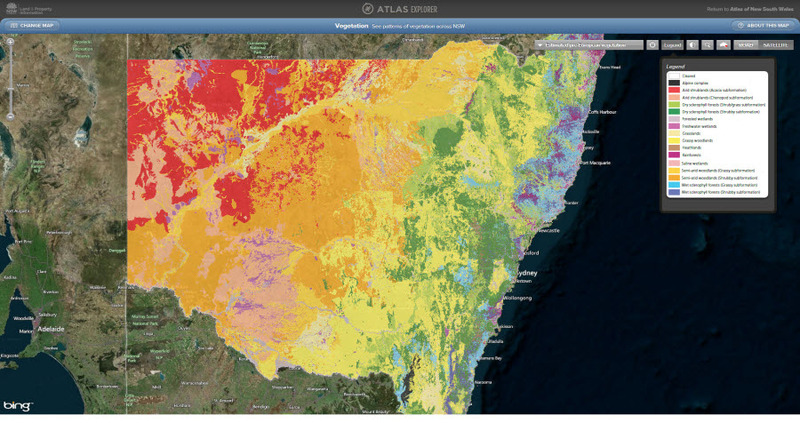 Rather than being one map that allows you to select the data you wish to view, the NSW Atlas asks you to pick a map based on a theme, look out for the ‘Atlas Explorer’ links as you view the different topic pages. SBS has created a map that is narrow in scope but very well done. The Where Australia’s Immigrants were Born mapping tools allow you to view the top three birthplaces of immigrants in each suburb. You can also view the map with results from New Zealand and England excluded, given these countries predominate Australia’s immigrant population. Very well done and more than useful for a range of Australian Curriculum topics. 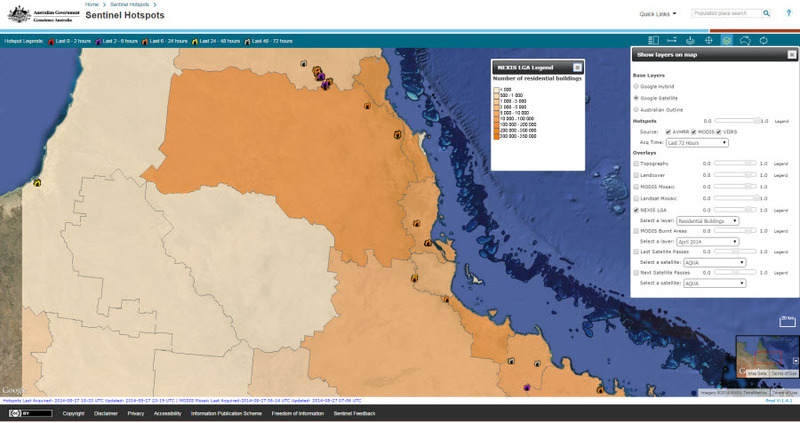 The good old Sentinel Hotspots tool has been updated with a much more user friendly interface. 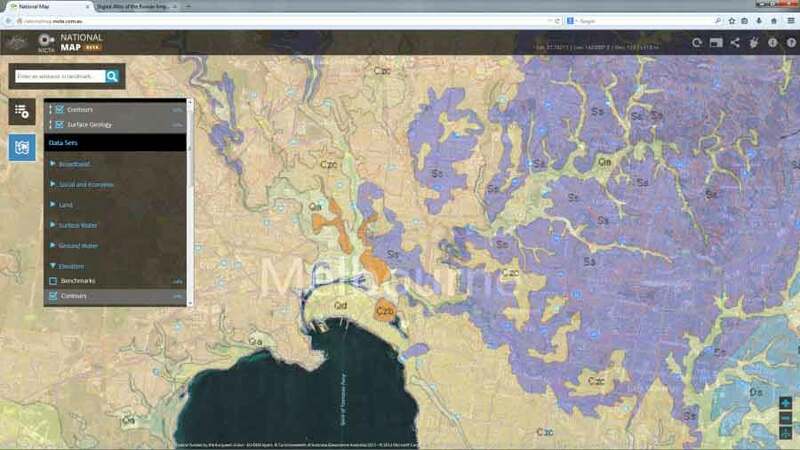 The guts of the tool are the same: it maps out bushfire hotspot activity and gives you a range of basemaps to view that activity on. 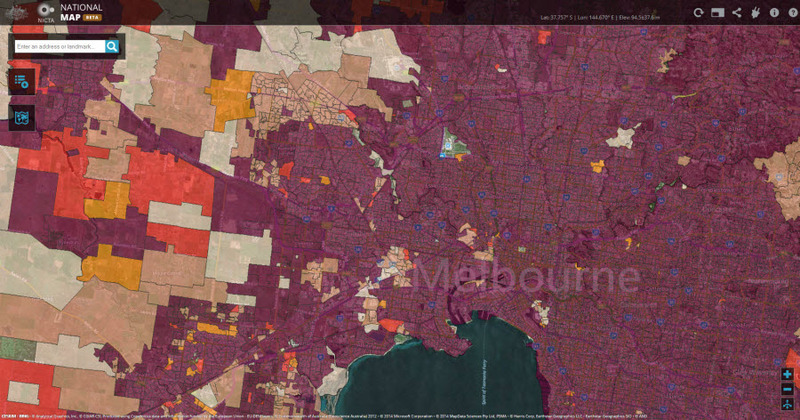 More data has been added now including residential, industrial and commercial buildings and population data. 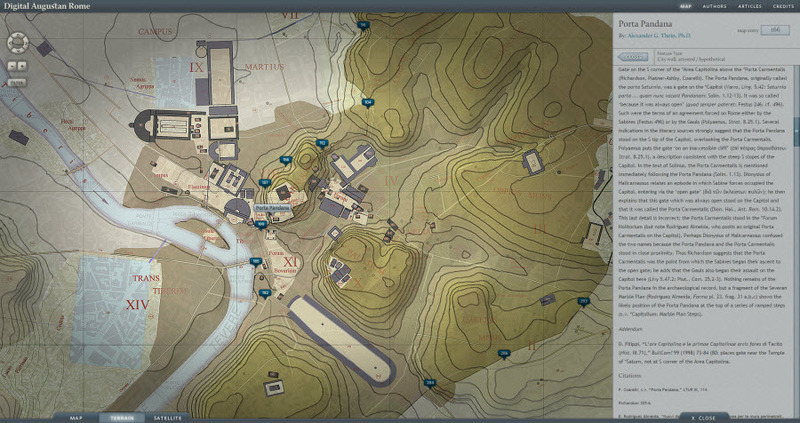 For a bit of fun try out the Digital Augustan Rome interactive map. Explore heaps of different ancient roman features using different basemaps that include topography or a modern day satellite image. Feel free to pass this one on to your history colleagues!